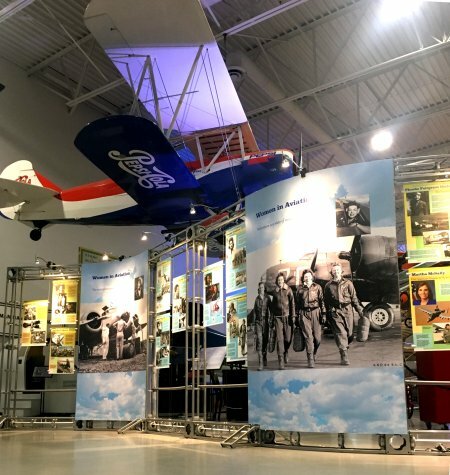 The museum features over 40 unique aircraft that tell the story of aviation innovation in Northern California and beyond. 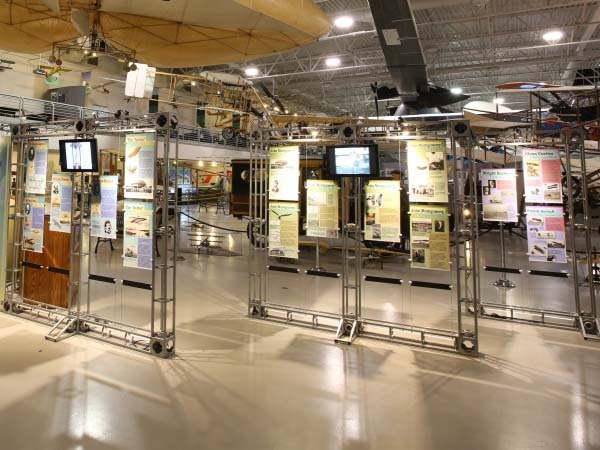 Be sure to check out our list of displayed aircraft! 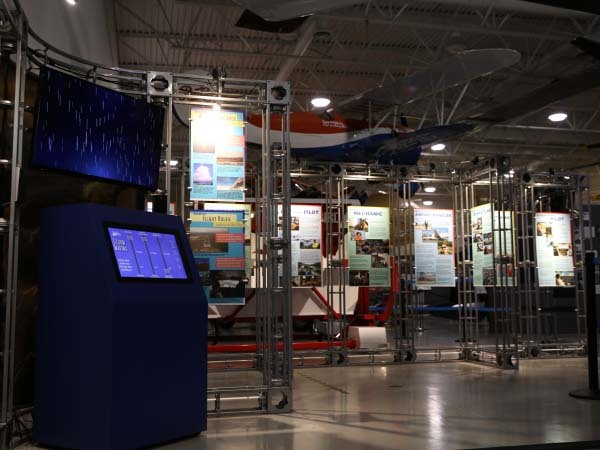 Hands-on exhibits, sampled below, provide interactive experiences that explore flight, weather, careers and aviation’s daily working world. 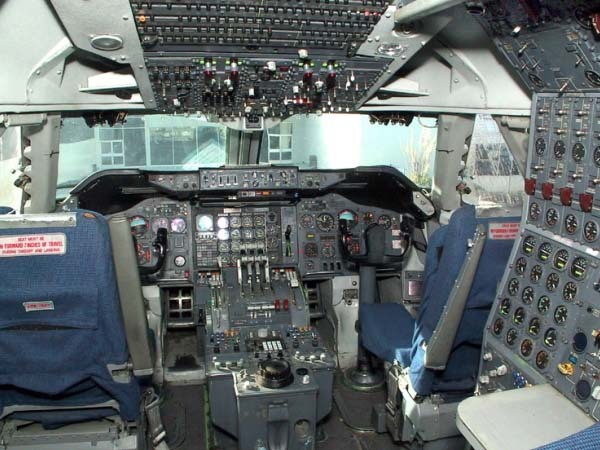 First Class cabin section and cockpit. The surprising amount of aviation activity in California at the beginning of the last century reflects the region’s hallmark status as a center of innovation and “out-of-the-box” thinking. 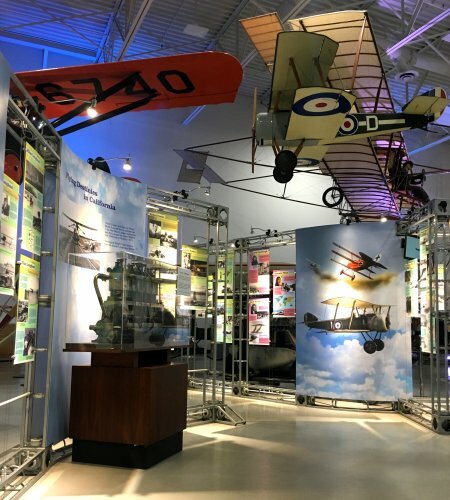 This display tells the story of early aircraft designs, including George Cayley, Rufus Porter, Frederick Marriot, John Montgomery and many others. 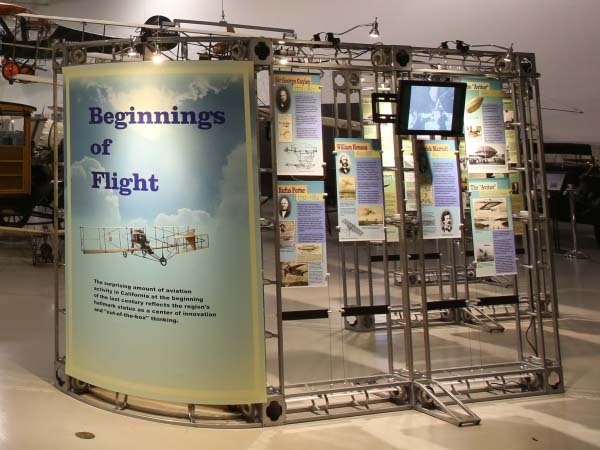 Complementing the museum’s flyable replica of the Wright Model EX “Vin Fiz”, this exhibit tells the story of the attempt to claim the first flight across the transcontinental United States in pursuit of the $50,000 Hearst Prize in 1911. 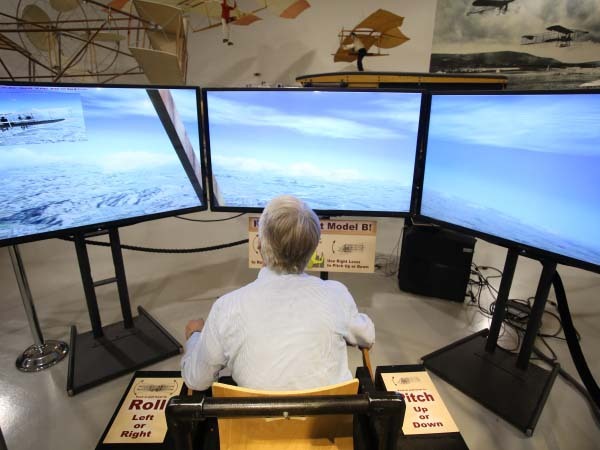 You can fly a simulation of a Wright Model B aircraft, very similar to the first aircraft fly cross-country. The Crouse-Hinds Type DCB-36 beacon displayed here was originally mounted, around 1945, on the San Francisco Airport Administration Building and Control Tower. 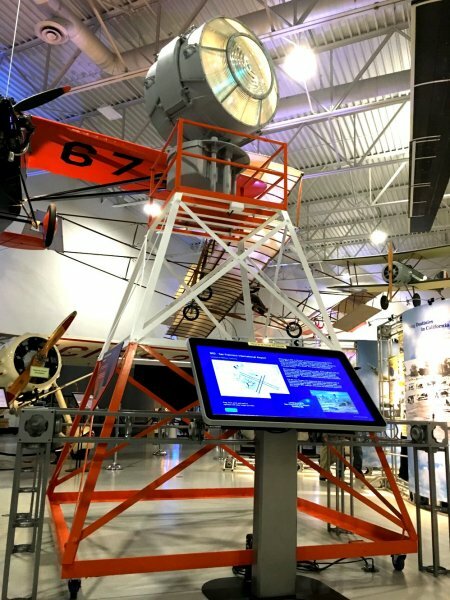 Restored by skilled museum volunteers, the beacon is now illuminated and rotates continuously while dominating the center of the museum’s gallery. 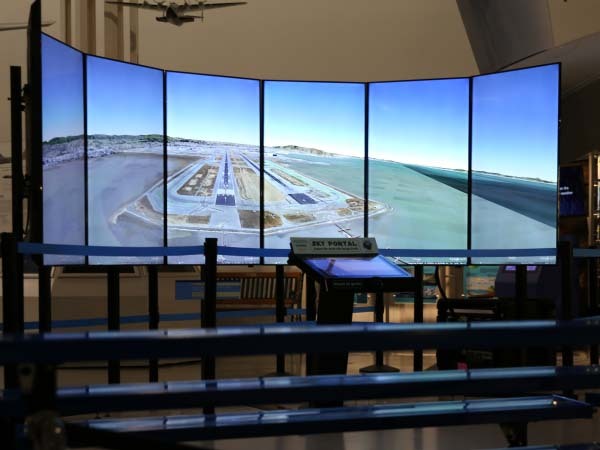 This interactive exhibit uses the real-time power of Google Earth to observe any place on the Earth, to view it from miles above the ground right down to the earth’s surface. In addition to the unique thrill of finding your neighborhood and house as seen from orbiting satellites, as well as exploring exotic destinations around the world, you can investigate aviation from a sky high perspective. Included are airports, airspace and routes of famous flights across the country and the world, such as the flight of the Vin Fiz in 1911, the 1929 Women’s Air Derby, the final flight route of Amelia Earhart in 1937 and the recreation of her flight by Reid Dennis and Linda Finch in 1997. The stories of 29 women from different countries and ethnic backgrounds who achieved their dreams of flight are told in words and pictures spanning over one hundred years of aviation history. Ambitious endeavors unfolded in unique ways which put California into the spotlight of aviation history. 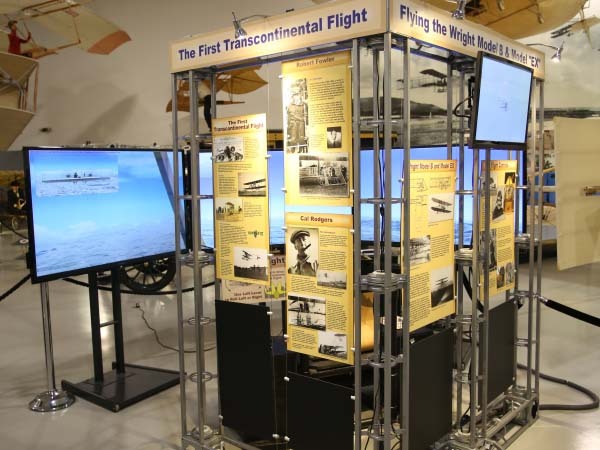 This exhibit features stories about aviation pioneers like Lincoln Beachey, Robert Fowler, The Loughead brothers, Shaesta Waiz and Jack Northrup. The lore of aviation milestones includes the 1927 Dole Air Race, the 1929 Women’s Air Derby and many others. 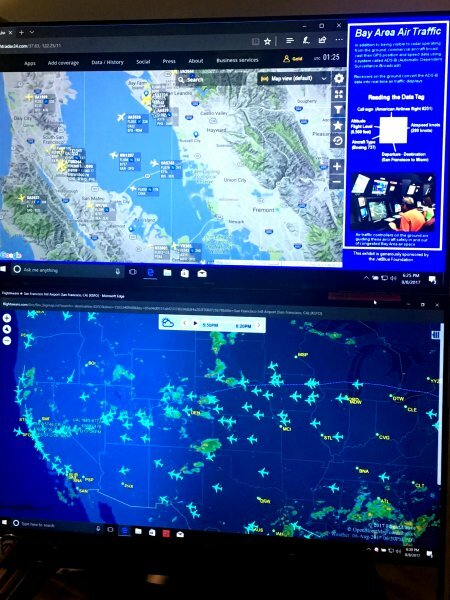 Large displays show, in real time, the complexity of air traffic in the San Francisco Bay Area as well as flights enroute to SFO from around the world. Online platforms featured are Flight Aware and FlightRadar24. 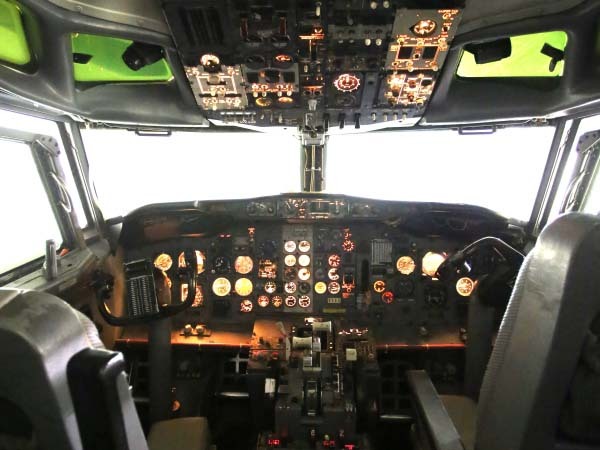 Aviation’s working world is the earth’s atmosphere. 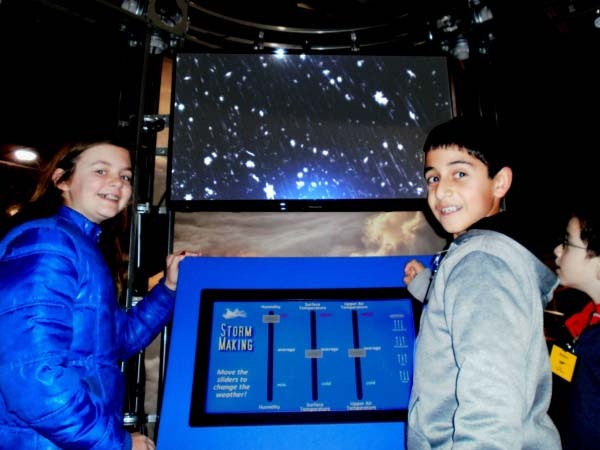 The workings of weather are explored here, including the opportunity to creating your own weather by manipulating a simulation of atmospheric conditions, including temperature and humidity, to make clouds, fog, rain, sleet, snow and thunderstorms. 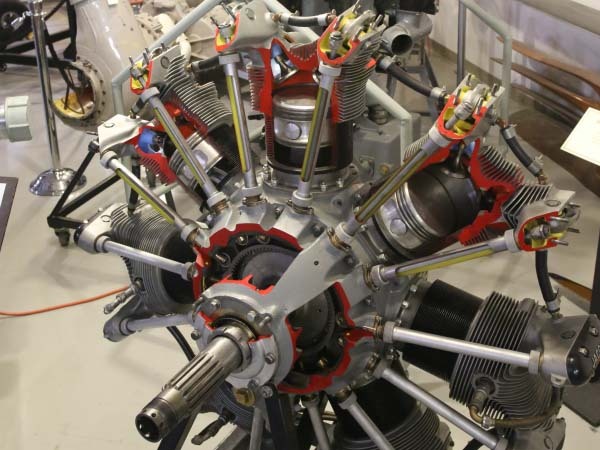 The critical machines that put the “zoom” in airplanes are featured from turbines to radial engines over a century of aviation history.